Despite nearly eight years and two major wars in which over 4,000 American troops have died and over 34,000 wounded, controversy swirls around the very small number of servicemembers who have won the Medal of Honor, which is the highest military decoration. The Medal of Honor is most often won posthumously. 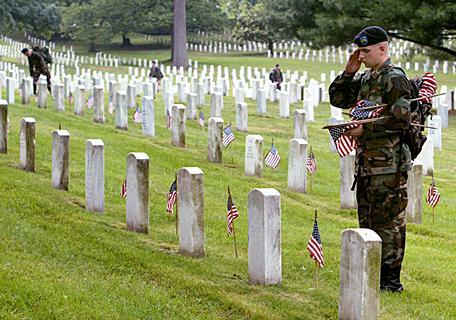 In comparison, during World War Two, a total of 464 Medals of Honor were awarded. In the Vietnam War, 244 were awarded. Yet the total for the two current wars stands at only six. Have the standards for who gets the Medal and why they get it been raised? The Pentagon says the standard has not been changed, but many do question the accuracy of that answer. Six soldiers who were killed in action have been chosen for the Medal of Honor during the wars in Iraq and Afghanistan are named below with details on the action they committed to earn the Medal of Honor. They are listed below. In September, 2010, Staff Sgt. Salvatore Giunta became the first living recipient of the Medal of Honor since the Vietnam War. Lt. Michael P. Murphy, U.S. Navy. Led a four-member team against between 30 and 40 Taliban fighters in the vicinity of Asadabad, Afghanistan. When the primary communicator fell mortally wounded, Murphy repeatedly attempted to call for assistance for his injured colleagues. Realizing the impossibility of communicating in the extreme terrain, and in the face of almost certain death, he fought his way into open terrain to gain a better position to transmit a call. His actions deprived him of cover and exposed him to direct enemy fire. Finally achieving contact with his headquarters, Murphy maintained his exposed position while he provided his location and requested immediate support for his team. He continued to engage the enemy until he was mortally wounded. Cpl. Jason L. Dunham, U.S. Marine Corps. While attempting to search vehicles for weapons near the town of Karabilah, Iraq, an insurgent leaped out and attacked Dunham. In the ensuing struggle, he saw the insurgent release a grenade. Dunham immediately alerted his fellow Marines to the threat. Without hesitation, Dunham covered the grenade with his helmet and body, bearing the brunt of the explosion and shielding his colleagues from the blast. Pfc. Ross A. McGinnis, U.S. Army. Manned a machine gun as an insurgent dropped a grenade into his vehicle in northeast Baghdad. Reacting quickly, he yelled grenade. Then, rather than leaping from the gunner’s hatch to safety, McGinnis covered the live grenade, pinning it between his body and the vehicle and absorbing most of the explosion. 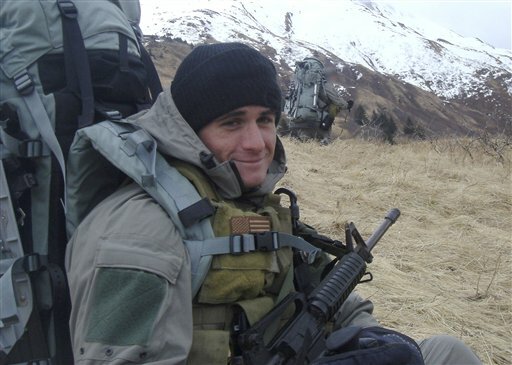 Petty Officer 2nd Class Michael A. Monsoor, U.S. Navy. While providing protection from a rooftop in Ramadi, Iraq, an insurgent threw a grenade that hit Monsoor in the chest. He threw himself onto the grenade to absorb the force of the explosion with his body, saving the lives of two teammates. Sgt. 1st Class Paul R. Smith, U.S. Army, was helping to build a holding area for prisoners of war near the Baghdad airport when his unit was attacked by a company-sized enemy force. As the fight developed, Smith braved hostile enemy fire to personally engage the enemy with hand grenades and anti-tank weapons, and he organized the evacuation of three wounded soldiers from an armored personnel carrier. Fearing the enemy would overrun their defenses, Smith moved under withering enemy fire to man a .50 caliber machine gun. In total disregard for his own life, he maintained his exposed position in order to engage the attacking enemy force. During this action, he was mortally wounded. His courageous actions helped defeat the enemy attack, and resulted in as many as 50 enemy soldiers killed, while allowing the safe withdrawal of numerous wounded soldiers. Staff Sgt. Jared C. Monti, U.S. Army, was shot and killed as he attempted for a third time to rescue a wounded comrade while conducting combat operations in the mountains near Gowardesh, Afghanistan. The actions took place as he ordered firepower that broke the enemy attacks and killed 22 enemy fighters. President Barack Obama will present the award on Sept. 17, 2009 at a White House ceremony. Robert James Miller of Company A, 3rd Battalion, 3rd Special Forces Group (Airborne) was a United States Army Special Forces soldier who posthumously received the Medal of Honor at a White House ceremony on 6 October 2010. On 25 January 2008 Sergeant Miller found himself willingly leading a team of Afghan National Security Forces and Coalition soldiers during a com­bat reconnaissance patrol in Kunar Province near the Pakistan border. Insurgents hiding in a structure attacked Miller's team. A fellow teammate called for close air support to drop ordnance on the insurgent position, disrupting their attack. When the combined patrol moved toward the structure to check for any remain­ing enemy threats, insurgents again fired using heavy weapons. Miller's team captain was seriously wounded within the first minutes of the attack. While his commander was moved to safety, Miller returned fire. At great personal risk to himself, Miller remained at the front of the patrol and continued to lay down suppressive fire on multiple insurgent positions, allowing his wounded commander to be pulled out of the line of fire, ultimately saving his life. Miller's personal courage under intense enemy fire enabled the entire patrol to gain cover and return fire. Even while injured by direct enemy smallarms and machine gun fire, Miller continued to employ his M249 Squad Automatic Weapon and grenades to suppress enemy fire and protect his teammates. Staff Sgt. Salvatore Giunta, U.S. Army, was serving as a rifle team leader with Company B, 2nd Battalion, 503rd Infantry Regiment, when an insurgent ambush split his squad into two groups on Oct. 25, 2007, in the Korengal Valley in Afghanistan. Giunta engaged the enemy again when he saw two insurgents carrying away a wounded soldier, Sgt. Joshua C. Brennan, 22. Giunta killed one insurgent and wounded the other before tending to Brennan, who died the next day. Giunta is the first living servicemember to be awarded the Medal of Honor since the Vietnam War. Giunta was introduced to a nation-wide audience when he was honored at the 2011 Superbowl. Sgt. 1st Class Jared C. Monti Memorial Scholarship Fund Inc.